Metals and compounds represent a special class of hazardous substances in that they each possess physical properties unique to that substance and impose specific, well-documented toxicological effects. Heavy metals in particular can pose significant and persistent environmental hazards, as these can be released from numerous sources including municipal wastewater treatment plants, manufacturing industries, mining, rural agricultural cultivation, fertilization and others. A separate, more detailed section covering the toxicology of heavy metals is included in this website. There is a universe of toxic compounds and it is not possible to provide a comprehensive overview of the many substances deserving of consideration. However, the following substances represent metals and compounds with which TCAS has acquired extensive experience over a period of more than 28 years and which have surfaced with regularity among our clients. Substances reviewed in this section include arsenic, asbestos, lithium and NORM (Naturally Occurring Radioactive Materials). Show all results for "Arsenic"
Arsenic (element 33) has been found in at least 1,149 of the 1,684 "National Priority List" contamination sites identified by the U.S. EPA.1 Arsenic typically presents as two basic compound types. Organic arsenic (combined with carbon and hydrogen) was historically used as a pesticide in orchards and cotton fields or as an additive in certain animal feeds (such as "Roxarsone," which has been used extensively for swine and poultry) to increase feed efficiency and stimulate rapid growth. The U.S. Food and Drug Administration has recently banned three arsenic compounds used in swine and poultry feeds.2 Inorganic arsenic (combined with chromium, copper and oxygen) has been used primarily to preserve wood in the form of copper chromated arsenate (CCA) which is used to make pressure-treated lumber in industrial applications (CCA is now banned for U.S. residential purchase). Although different arsenic compounds have different potencies and variable adverse health effects, both organic and inorganic arsenic compounds have been formally classified by the International Agency for Research on Cancer (IARC) as "Group 1 Human Carcinogens. "3 At high levels, inorganic arsenic can be fatal. Long-term exposure to lower levels can cause disease, discoloration of the skin and small corns or warts. Toxicological factors required to assess arsenic exposure in humans include ingestion characteristics, exposure pathways, timeframe(s), bioavailability and organic structure. TCAS has extensive experience in toxicological assessments of arsenic exposures and remediation issues in residential, environmental, agricultural and industrial cases. Please contact our office for additional information. Show all results for "Asbestos"
Asbestos is classified as a "Group 1 Known Human Carcinogen" by the World Health Organization (WHO) and by the U.S. EPA.4 Installed in many homes and buildings during the last century, asbestos continues to persist in the environment. It can be found in attic and wall insulation, vermiculite, roofing and siding shingles, walls and floors around wood-burning stoves protected with asbestos millboard, hot water and steam pipes coated with asbestos, furnaces and door gaskets with asbestos insulation, heat-resistant fabrics, automobile clutches and brakes and many other locations. Additionally (contrary to popular belief), asbestos has not been universally banned in present-day consumer products. Asbestos can be found in cement sheets, clothing, pipeline wrap, roofing felt, vinyl floor tiles, shingles, millboard, automotive components, gaskets and roof coatings among others. Thus, asbestos is still accessible in raw form (primarily on an occupational basis) and individuals are capable of experiencing adverse health effects as a consequence of exposure. 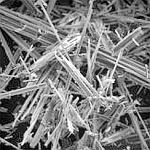 When asbestos fibers are inhaled, some can become lodged in the lungs and remain there throughout life. Accumulated fibers can cause scarring and inflammation which can affect breathing, leading to disease. There are three primary toxicological endpoints associated with chronic asbestos exposure: (a) lung cancer, (b) mesothelioma, a rare form of cancer found in the lining of the lung, chest, abdomen and heart, and (c) asbestosis, a serious progressive, long-term, non-cancer disease of the lungs. Generally speaking, diseases from asbestos exposure take a long time to develop. Most cases of lung cancer or asbestosis in asbestos workers occur 15 or more years after initial exposure to asbestos.5 Additionally, owing to the health hazards posed by airborne fibers, most municipalities and all states have regulations governing asbestos clean-up and disposal. 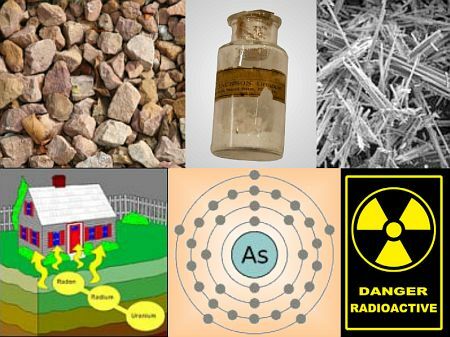 Cleanup of asbestos-contaminated sites, buildings and structures imposes special toxicological considerations. Disposal of hazardous material is tightly monitored, protective gear must be worn at all times and all cleanup activities must comply strictly with regulatory requirements. TCAS has performed numerous asbestos-related toxicological assessments over a period of more than 28 years and has been regularly consulted for expert opinions in matters relating to exposure, risk assessment and remediation in a variety of residential, environmental and industrial cases. Please contact our office for additional information. Show all results for "Lithium"
A soft silver-white element, lithium is the lightest of the alkali metals. It is characterized as a hazardous substance primarily due to its application in batteries, which have become extremely common in the past two decades (cellular phones, electric vehicles and a wide range of consumer products all use lithium batteries). Although generally regarded as safe by consumers, the hazardous properties of lithium compounds (particularly lithium-sulfur and lithium-ion mixtures) have been known for many years. Lithium can be unstable and is capable of undergoing violent change without detonating. It reacts violently with water and can form potentially explosive mixtures with water, generating toxic gases, vapors or fumes. Lithium mixtures can also produce cyanide or sulfide-bearing wastes. It is capable of detonation or explosive reaction if heated under confinement or subjected to a strong initiating source. 6 Lithium has also been listed as a contaminant of concern (COC) at numerous Superfund sites in the U.S., such as the Foote Mineral site in Pennsylvania. This facility generated large amounts of lithium wastes, infiltrating water wells and adversely affected residential health over a period of decades. Aside from the dangers posed by contamination and explosive reactions, lithium toxicity can occur as a consequence of over-ingestion of lithium medication, which is applied in diluted quantities to treat bipolar disorder (manic depression). Acute toxicity symptoms include diarrhea, dizziness, nausea, stomach pains, vomiting, weakness and effects on the central nervous system. 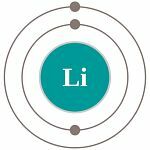 Chronic adverse health effects can occur if too much lithium is ingested over time as lithium can build up in the body. Chronic effects include kidney failure, memory problems, movement disorders, inability to retain salts and even psychosis.7 Lithium also has the potential to interact with other pharmaceuticals. Dialysis may be required to purge lithium from the bloodstream. TCAS has performed toxicological assessments in cases involving lithium in both individual and industrial matters. Please contact our office for additional information. Show all results for "NORM"
Although naturally occurring radioactive materials potentially include all radioactive elements found in the environment, in the field of toxicology the term is specific to naturally occurring radioactive materials where human activities increase the potential for exposure. The average person receives a nominal yearly dose of radiation from background sources and this is generally considered to have no significant health impacts. However, certain industries handle significant quantities of NORM which can deposit in waste streams or in tailings from mining operations. Such contamination can pose a health hazard if left unremediated. TCAS has performed numerous toxicological exposure assessments, offered remediation guidance and provided expert testimony involving NORM, often in combination with other hazardous substances contaminating a site. In some instances, TCAS personnel visited contaminated areas and collected samples for laboratory testing to validate assessment opinions prior to producing written reports. Please contact our office for additional information. ATSDR, Division of Toxicology and Environmental Medicine, "Arsenic," CAS #7440-38-2, August 2007. New York Times, "F.D.A. Bans Three Arsenic Drugs Used in Poultry and Pig Feeds," October, 2013. IARC, "Monographs on the Evaluation of Carcinogenic Risks to Humans," Agents Classified by the IARC Monographs, Volumes 1-109, 2014. U.S. Environmental Protection Agency, "Asbestos Hazard Summary," 1332-21-4, January, 2000. ATSDR, Division of Toxicology and Environmental Medicine, "Asbestos Health Effects," April, 2008. U.S. Environmental Protection Agency, "Lithium," Technical and Logistics Services, March, 1984. U.S. National Library of Medicine, Lithium Toxicity," April, 2016. 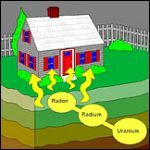 U.S. Environmental Protection Agency, "Health Risk of Radon," October, 2015. ATSDR, Division of Toxicology and Environmental Medicine, "Toxicological Profile for Radon," February, 2016. U.S. Department of Agriculture, Forest Service, "Magnification of Asbestos Fibers"
"A toxicological exposure assessment involving metals and compounds must always meet the criteria for reasonable toxicological certainty. Results should be supported by multiple peer-reviewed studies to insure the results will stand up to scientific scrutiny."